please don't post screen shots of primarilty textual information. hey wait -- i assumed that was just from one of those Google spamming bots that generates pages like "Buy Flvxxvm Florvm Tickets Now". 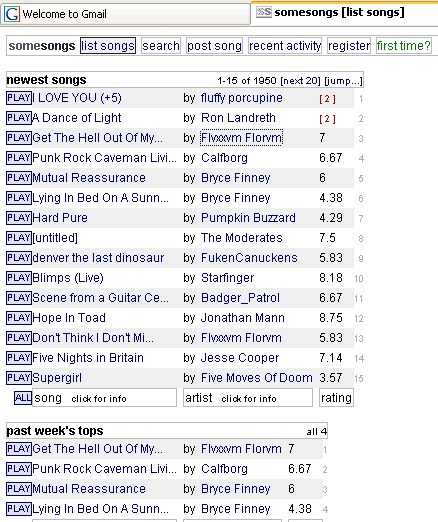 But that's a real rating by people listening to your songs -- cool!